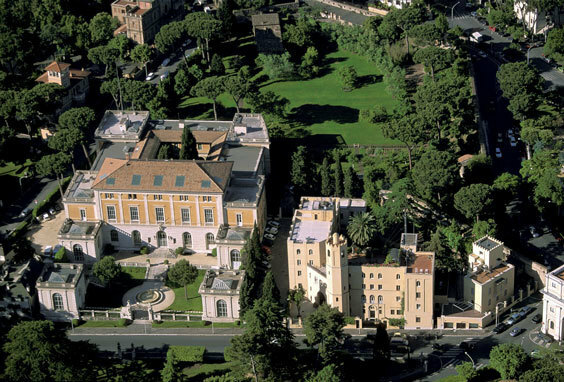 The American Academy in Rome. The American Academy in Rome has named the winners of its 2019–20 Rome Prize and Italian Fellowships, which support advanced independent work and research in the arts and humanities. The awardees were honored at a ceremony that took place in the Great Hall at Cooper Union in New York on April 9. This year, Rome Prizes were awarded to thirty American and six Italian artists and scholars, who will each receive a stipend, workspace, and room and board for a period of five to eleven months at the academy’s eleven-acre campus in Rome. Nearly one thousand applications for the fellowships were received. The eleven disciplines supported by the academy are: Literature, Music Composition, Visual Arts, Architecture, Landscape Architecture, Design, and Historic Preservation and Conservation, Ancient Studies, Medieval Studies, Renaissance and Early Modern Studies, and Modern Italian Studies. The institution also revealed that two new fellowships were established: the Philip Guston Rome Prize in Visual Arts, which was established by Musa and Thomas Mayer in memory of the artist Philip Guston, and the Adele Chatfield-Taylor Rome Prize in Historic Preservation, which was created in honor of Chatfield-Taylor’s legacy. In addition to the Rome Prize winners, the academy announced the recipients of six Italian Fellowships, through which Italian artists and scholars are invited to work on their own projects on the academy’s campus and to collaborate with this year’s Rome Prize winners.